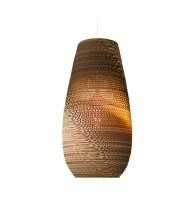 The Owalo 7000 lamp by Secto Design is a beautiful handcrafted light that casts a gorgeous reflection onto the surroundings. 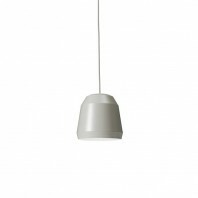 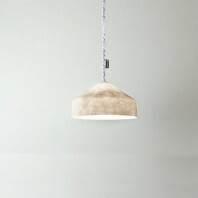 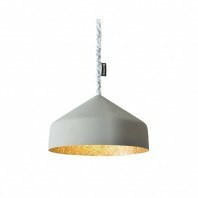 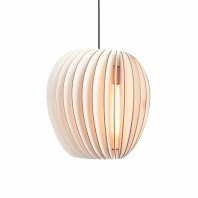 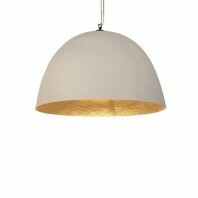 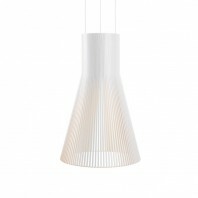 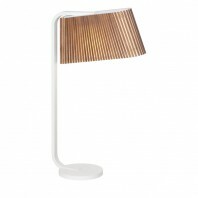 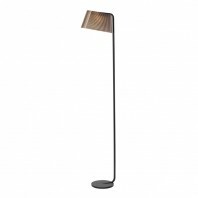 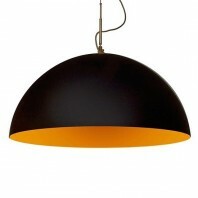 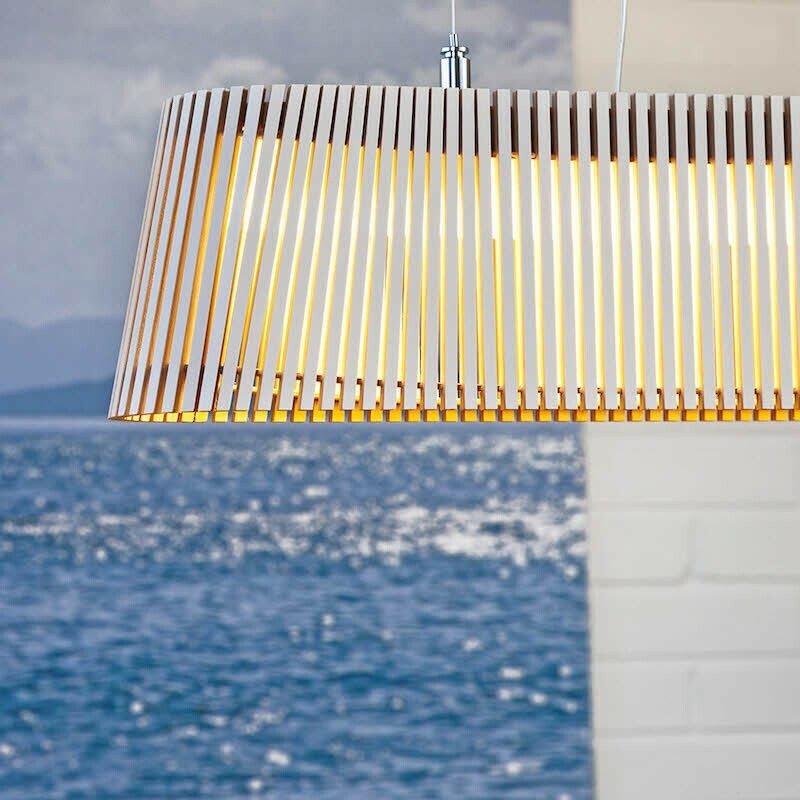 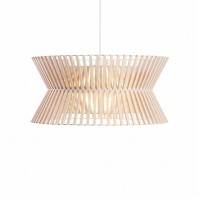 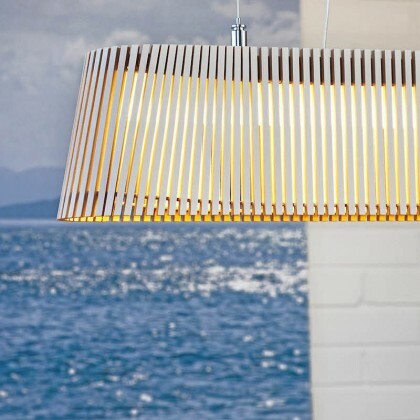 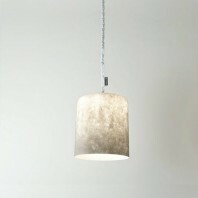 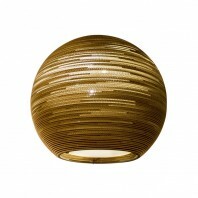 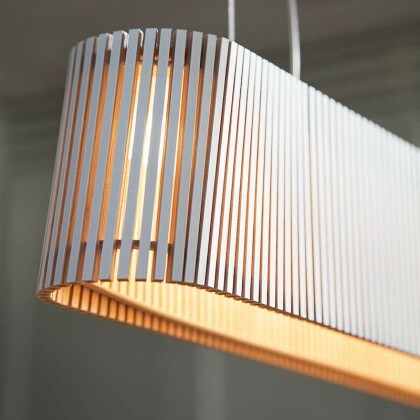 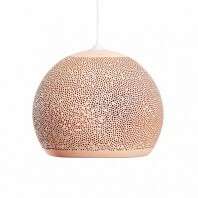 It's elegant and honest design plays with light and shadow, a stunning light with a soft luminosity. 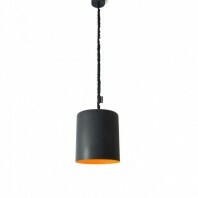 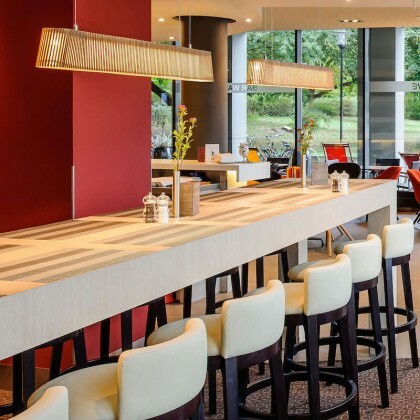 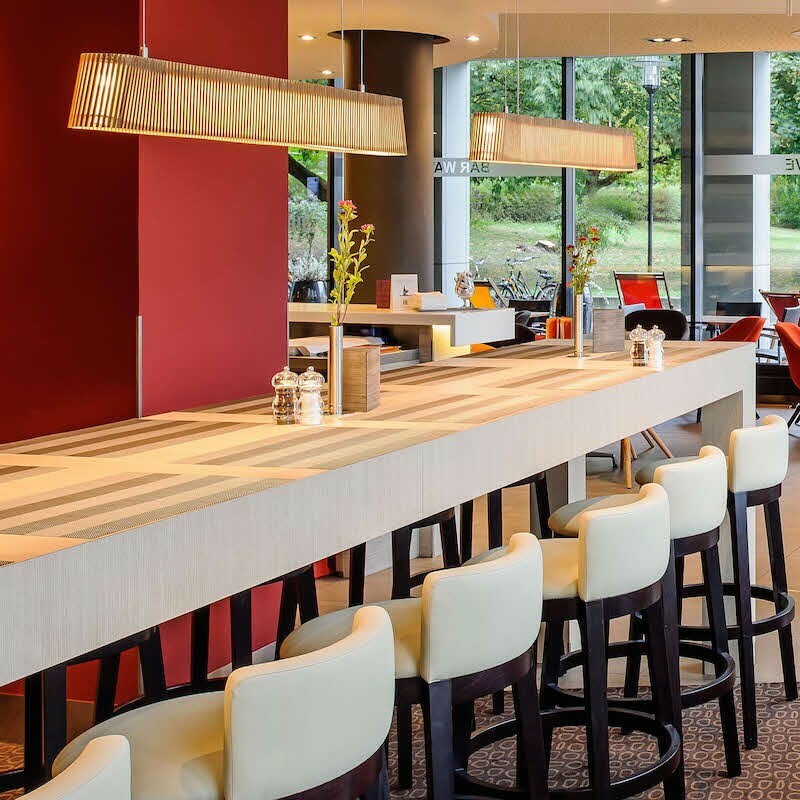 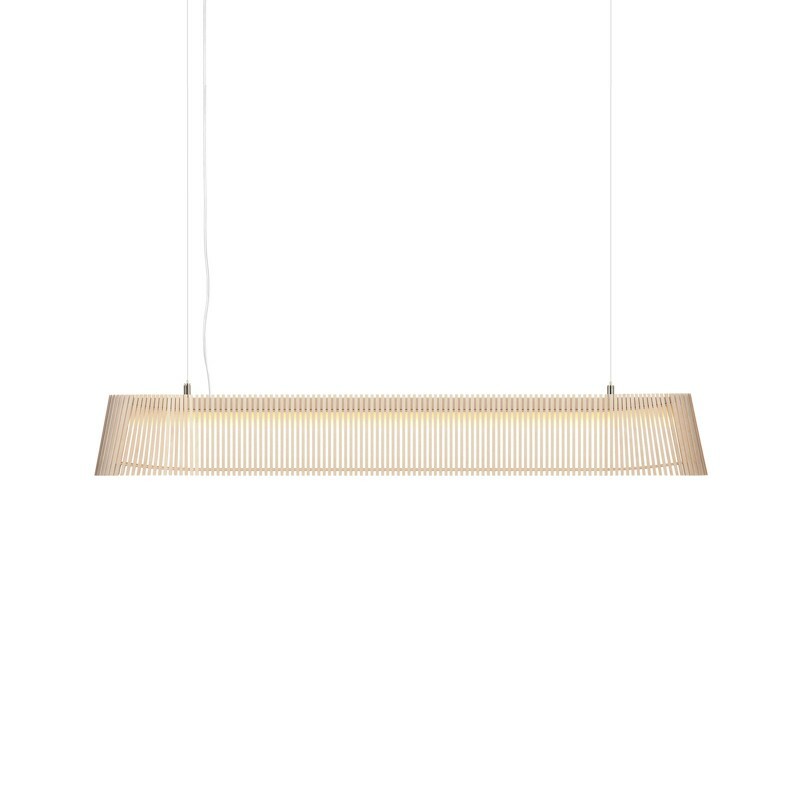 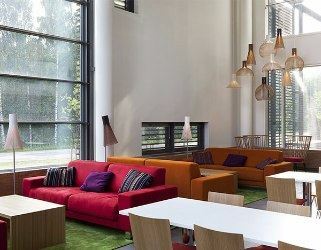 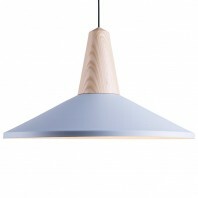 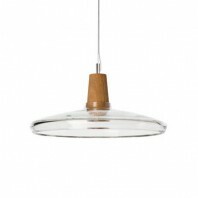 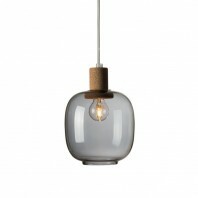 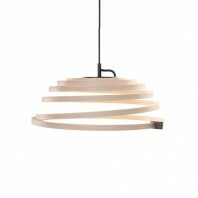 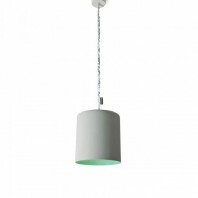 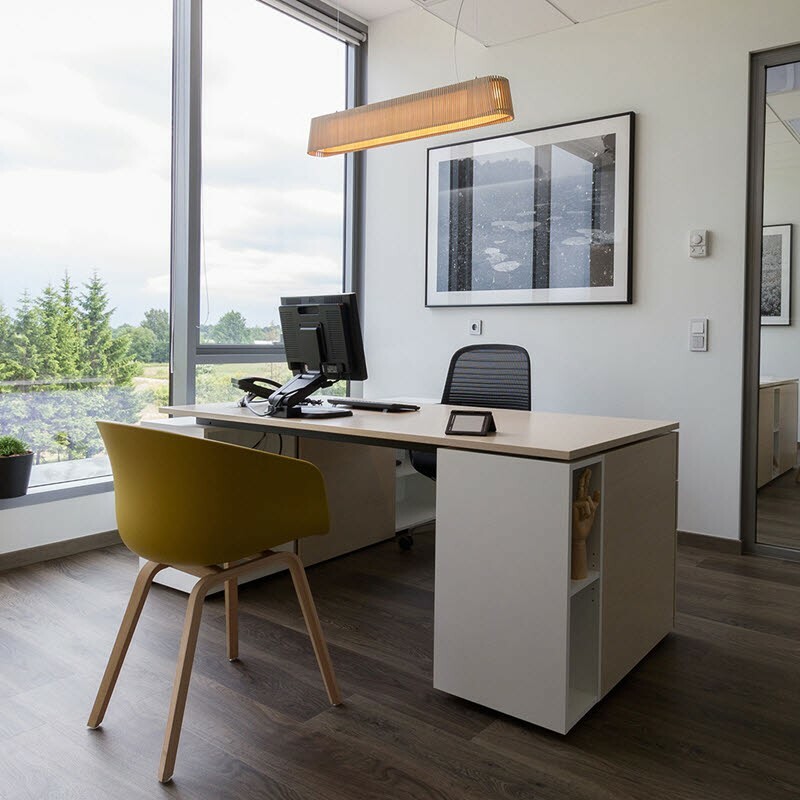 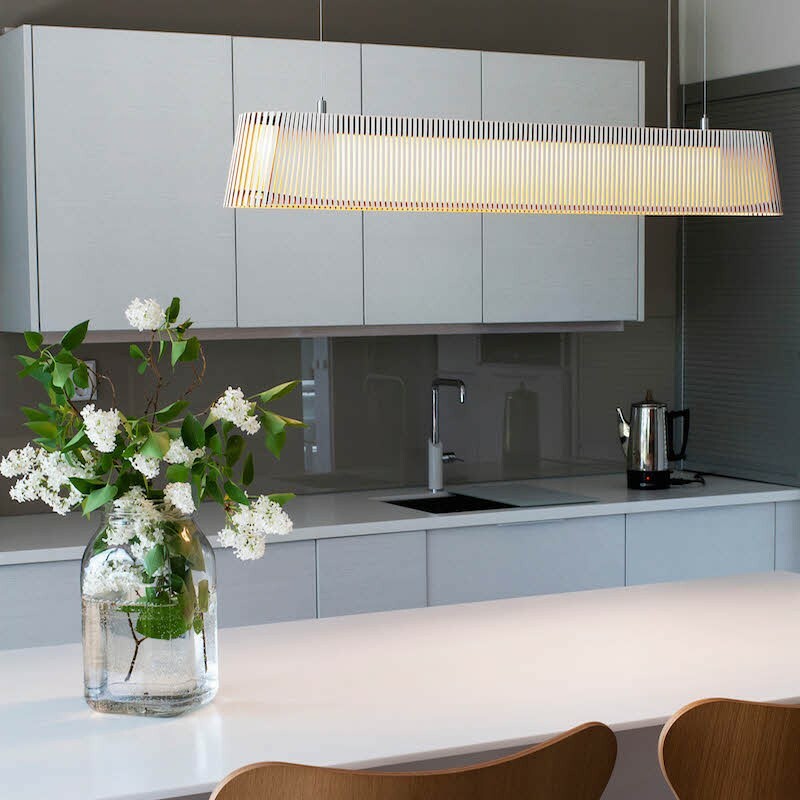 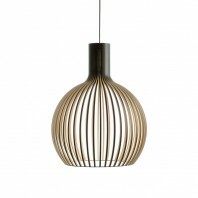 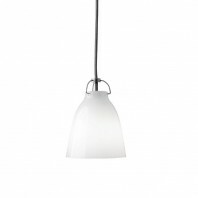 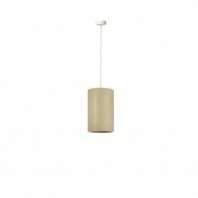 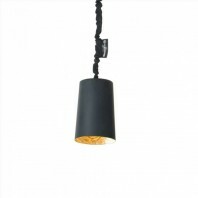 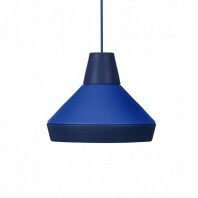 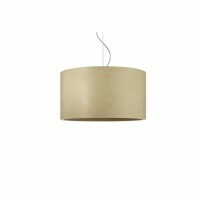 A tranquil and balanced pendant that lights up the light in both meeting rooms and dining rooms. 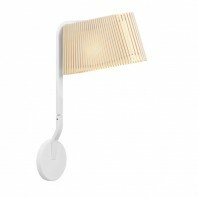 Uses the latest LED technology. 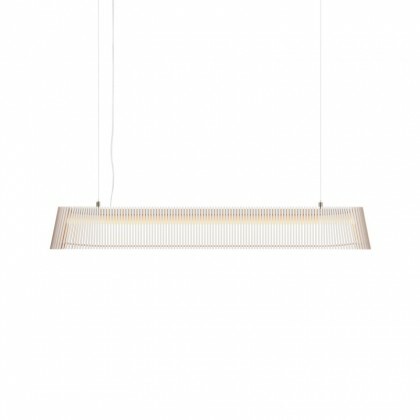 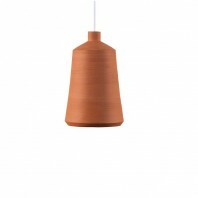 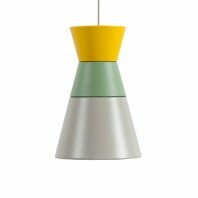 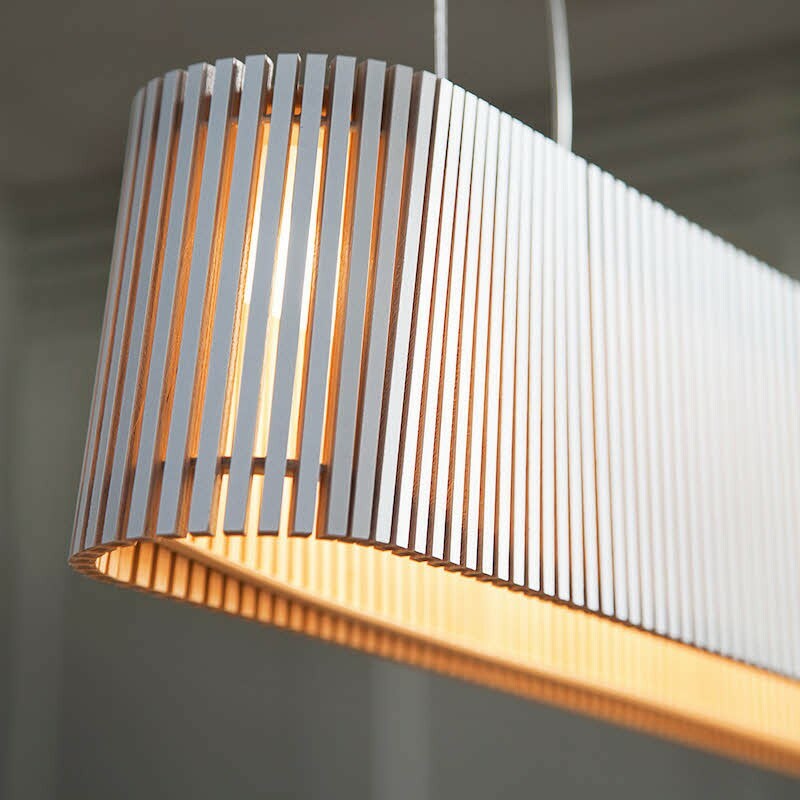 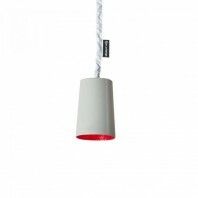 The subtle design is simple but accomplishes a decorative and fascinating light. 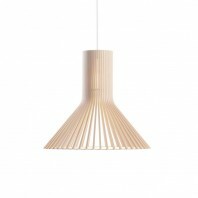 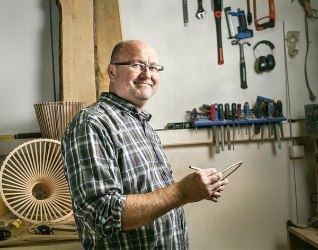 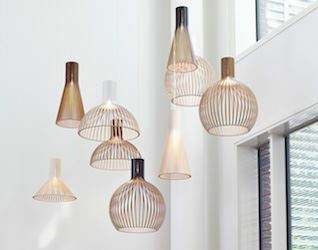 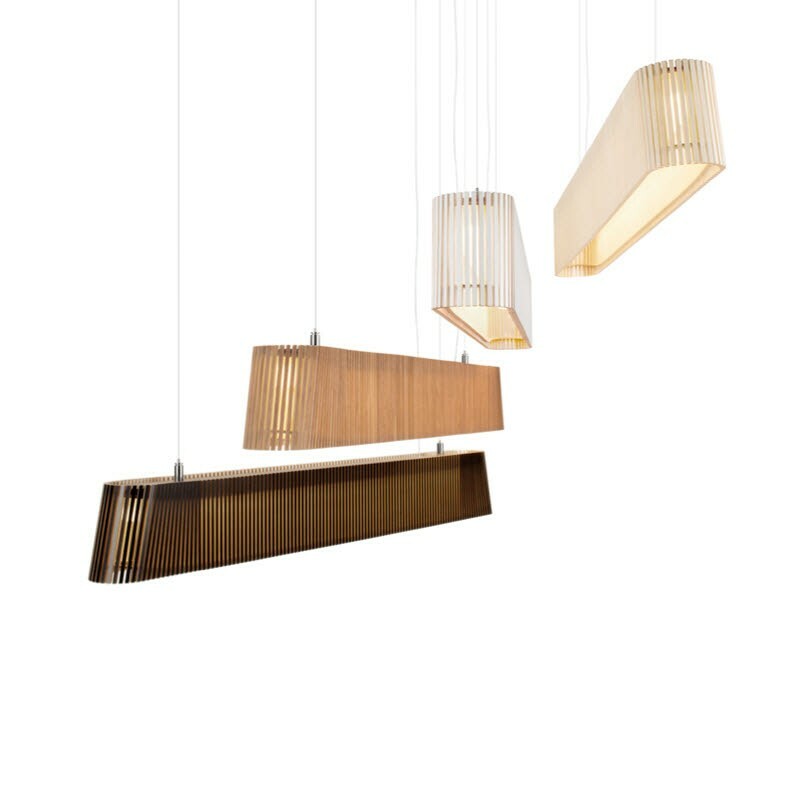 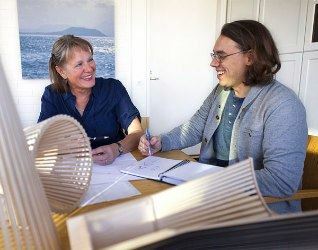 Designed by architect Seppo Koho, who once again stayed true to his credo that “light should softly invite people to come closer” the Owalo 7000 glows stunningly through its birch slats. 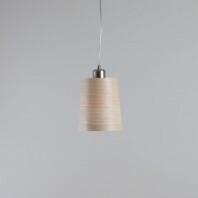 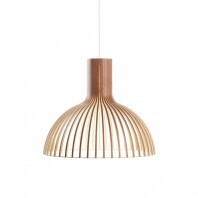 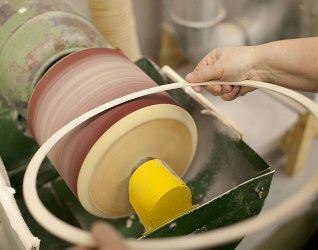 Handmade of PEFC-certified formpressed birch in Finland by highly skilled craftsmen. 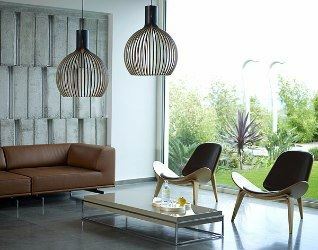 The wood provides a soft luminosity for atmosphere and appeal.